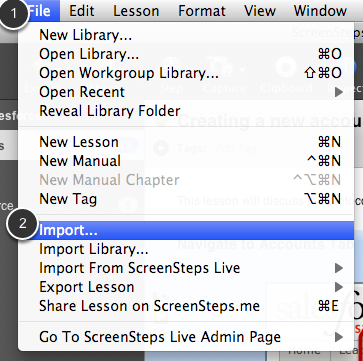 ScreenSteps can import text files into a lesson. This lesson will show you how. Choose the File > Import... menu item. 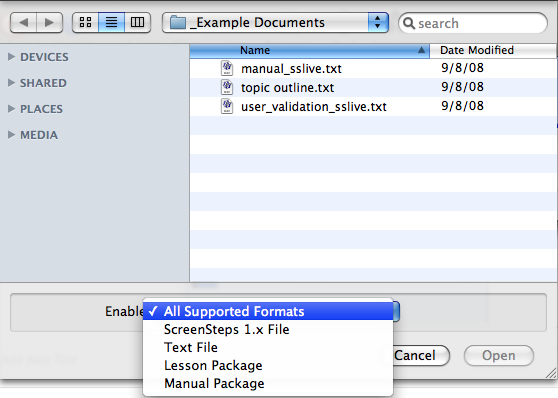 The dialog that appears allows you to select a .txt file. Select the file you would like to import. The file should use the platform specific encoding of the platform you are running ScreenSteps on. A new step will be created using the contents of the text file.